Russia’s Deputy Foreign Minister urges Israel to stop carrying out air strikes on Syria, says such strikes destabilize the situation. Russia’s Deputy Foreign Minister Sergei Vershinin on Friday urged Israel to stop carrying out air strikes on Syrian sovereign territory. "With regard to the latest Israeli attacks, we said that such arbitrary attacks on sovereign Syrian territory should be stopped and excluded. Any strikes destabilize the situation even more. No one should conduct actions in Syria that go beyond the scope of antiterrorist objectives," Vershinin said in an interview with Russian media, according to the Sputnik news agency. The Russian deputy minister praised the operation of the Russian-Israeli deconfliction mechanism, which has been in place for over a year, and voiced readiness to make it even more efficient. He also claimed that related discussions between the country's military were underway. "We obviously want a more efficient deconfliction mechanism. We want to avoid incidents similar to what happened to our aircraft," Vershinin said, according to Sputnik. At the same time, Vershinin noted that, in general, between Russia and Israel "the military line of deconfliction is steadily working, the line has been operational for over a year and we are improving it." 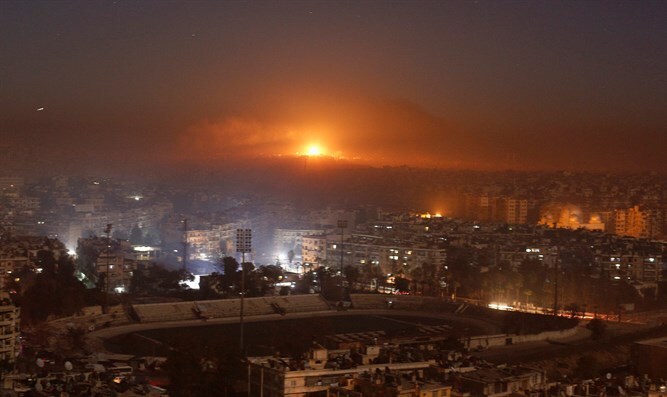 The comments follow the Israeli air strikes last month on Iranian targets in Damascus, which came in retaliation for the launching of a surface-to-surface rocket by Iranian Quds toward the northern Golan Heights. While Israel in the past has not confirmed that it is behind the strikes in Syria, Prime Minister Binyamin Netanyahu recently broke with his country’s long-standing policy of not publicly accepting responsibility for airstrikes in Syria.